Stay tuned for 2018 date! What if going outside were an opportunity to be present and awake for all that nature has to teach us? That’s the intention of this retreat: to learn presence and the art of “being” thru the gift of nature. We’ll leave behind the past, not worry about the future, technology will be a forgotten word, with what remaining being each step and each sound of the forest. In this 1 day retreat, we’ll explore different activities and modalities to bring awareness back to the now, where peace resides. We’ll wake up to the lessons of the majestic trees, the sound of our footsteps, the joy of watching a bird of prey soar, and how the expanse of sky can open our heart to all that’s possible. We’ll let the poetry of Mary Oliver, Wendell Berry, Rumi and more touch our soul and help us reconnect to the wisdom and Source within. We’ll come home to our True Nature through every step, and every one of our senses. We’ll meditate by the lake, practice mindful eating of our lunch (yum! ), and a special walking meditation that will bring your senses into the NOW. During this retreat, I got a sense of calm and peace in nature, as well as a connection to others in the same experience. Sounds magical doesn’t it? It is! Nature is the perfect teacher. I have make this place around you. 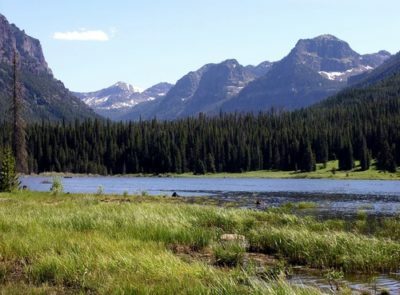 We’ll walk between 3 to 5 miles roundtrip on undulating terrain. Moderate fitness level recommended. If you’re unsure, send Angela a quick email to ask. All are welcome for this extraordinary day! There will be a carpooling option from Bozeman. Suggested donation for the retreat: $36 – $78 depending on income. Donations will be accepted at the end of the retreat. Space is limited to 12. By registering, you are reserving your spot. Register and reserve your spot by sending an email to Angela here. Angela brings together her 20 years of mountain guiding and outdoor education experience with her passion for mindfulness and coaching from her 14 years as a student of Buddhism and Non-Duality. She brings a wealth of wisdom to her classes and retreats. Wish you could start feeling more at peace right now? You can! 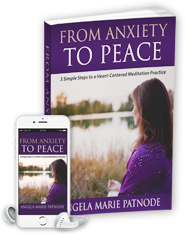 Download your free ebook and audio, From Anxiety to Peace: 3 Simple Steps to a Heart Centered Meditation Practice where you’ll learn how to open your heart, access your intuition, feel more calm and learn to meditate. Just scroll down and enter your name and email address. Easy peasy!